Robotic Process Automation (RPA) tools that execute routine administrative tasks without human intervention are helping enterprises reduce costs, increase productivity and enhance accuracy and auditability. Moreover, integrating basic RPA functionality with more advanced cognitive capabilities can expand the scope of automation and take the benefits of the technology to a new level. But experience shows that automating business processes is not a simple matter of replacing people with intelligent robots. Keys to success include the right methodologies to implement smart tools, effective change management and governance to reengineer processes and redefine human roles, and a Center of Excellence (CoE) structure to focus expertise. Close collaboration with the IT function – often neglected by early adopters – is also imperative. 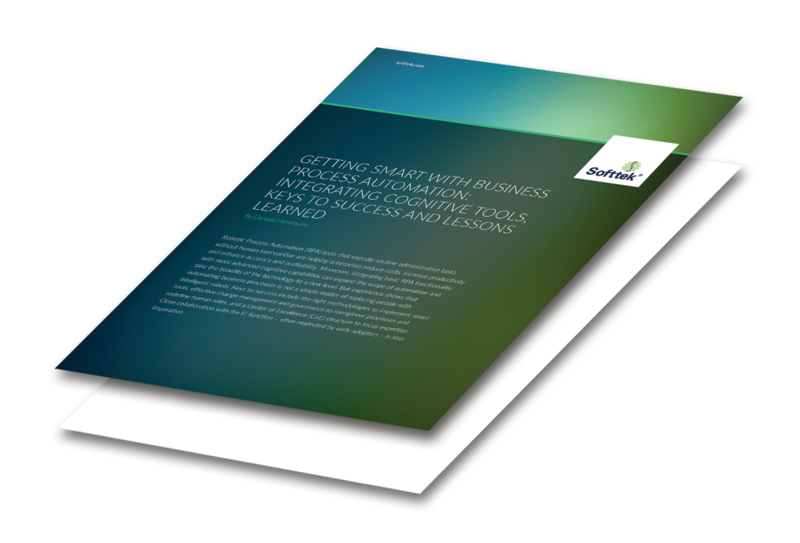 Potential benefits of Robotic Process Automation (RPA) include cost savings and increased productivity – but deploying the tools is more complex than many suggest. The integration of more advanced cognitive technologies with basic RPA functionality can take automation benefits to a new level. Keys to effective implementation of RPA include agile methodology, process optimization and a Center of Excellence structure. 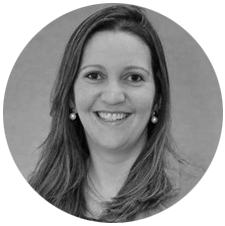 Daniela Henriques is a Shared Service and Business Process Outsourcing Professional with over 16 years of experience. She developed her career leading projects and teams focused on the Transition and Transformation of the Finance process (Procure-to-Pay, Order-to-Cash and Record-to-Report), Human Resource Process (Payroll, EDM, Benefits, Relocation) and System Implementations (ERPs) for Latin America and North America. Prior to joining Softtek, Daniela worked at General Electric, IBM and EDS (also known as HP Enterprise Services) where she successfully delivered results throughout projects using Lean and Project Management methodologies. Daniela holds a Bachelor degree in Business Administration and an MBA in Project Management. She is a Project Management Professional as well a Risk Management Professional certified by the Project Management Institute.